Happy Hump Day folks! Thanks for checking in for the 77th episode of Woman Crush Wednesday. And what a day it is! The day before Thanksgiving and while Hubby and I are not in the USA to celebrate, we will have our own festivities here in London. By Friday everyone will be in the Christmas countdown. 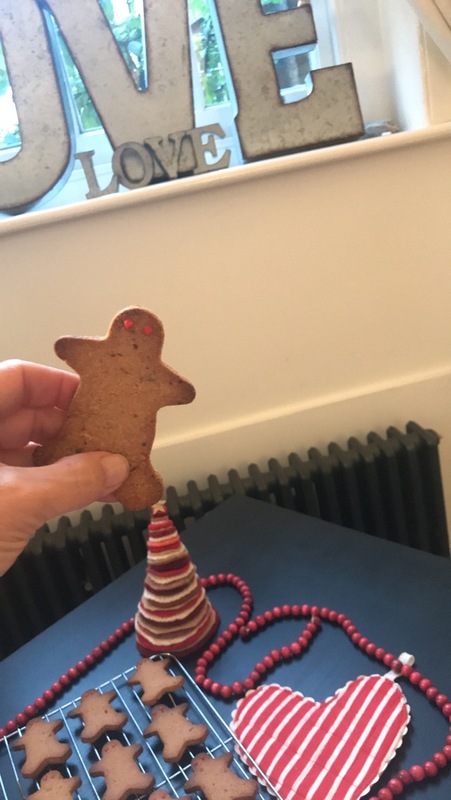 So to help us get in the mood, today’s gorgeous gourmet gal The Healthy Chef Teresa Cutter has a delicious Gingerbread Cookie recipe for us. It is gluten free, dairy free and refined sugar free. I’m so excited to try it and tell you more about Teresa! 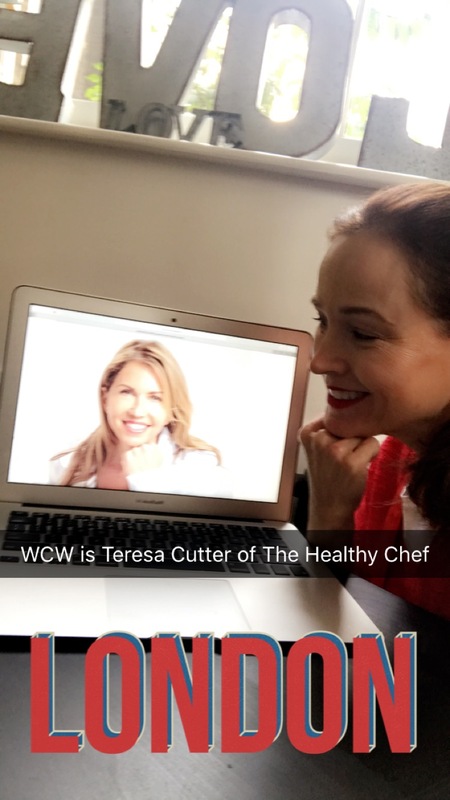 Teresa Cutter is one of Australia’s leading authorities on healthy cooking, healthy eating and an all around balanced lifestyle. 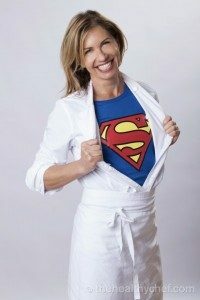 She is a classically trained chef, but through her own interest in wellness and fitness, she has focused her mission on helping others do so. 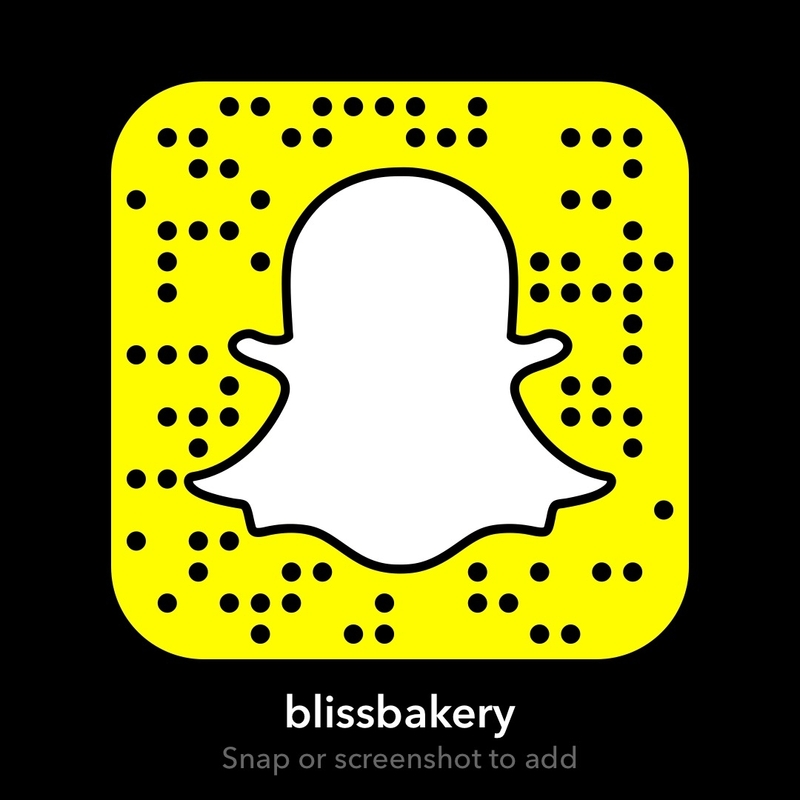 She is a nutritionist and designs recipes that incorporate foods packed with nutrition and yet simple to make. She founded The Healthy Chef website and there is also an app! This lady is a superwoman! With four cookbooks under her belt, I had quite a selection of recipes to choose from. 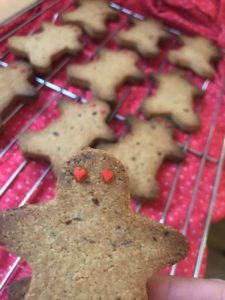 But since loads of people I know want to give home baked Christmas gifts this year, I decided to go with a healthy gingerbread men recipe. Or as I like to call them, Gingerbread People. Bake at 150 C/300 F for 30 minutes or until golden. Remove from the oven and cool. Decorate as you like… Teresa iced hers with melted white chocolate. 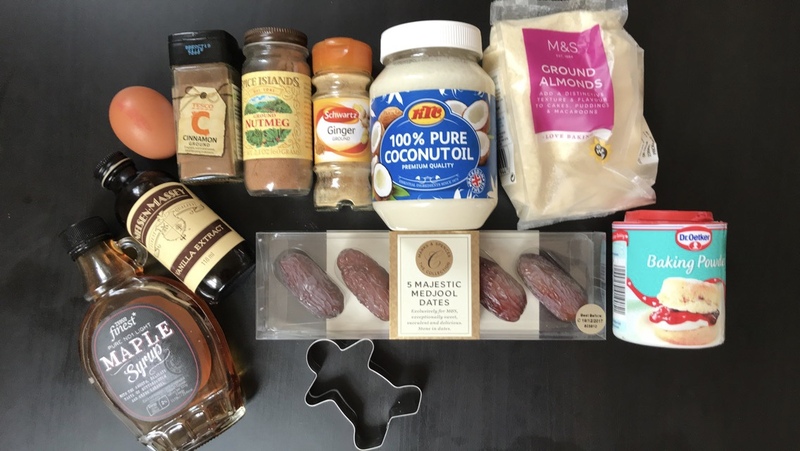 This is so simple to make and really ticks all the boxes for the “free from” and “paleo” etc. But I like that it isn’t too spicy. 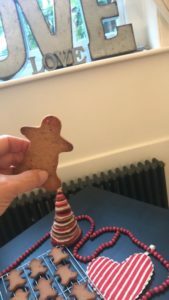 While I enjoy spicy gingerbread, often it can be too over powering for kids. And they are the ones who like to bake and decorate them this time of year. Teresa suggests using melted white chocolate to decorate the cookies. However I just used a bit of icing to pop on heart shaped eyes. Kind of like an emoji. Since I am on day 22 of the #30daysofgratitude which I am hosting, and my gratitude for today was HEARTS, I decided to go with some cute and simple <3 eyes for my decor. 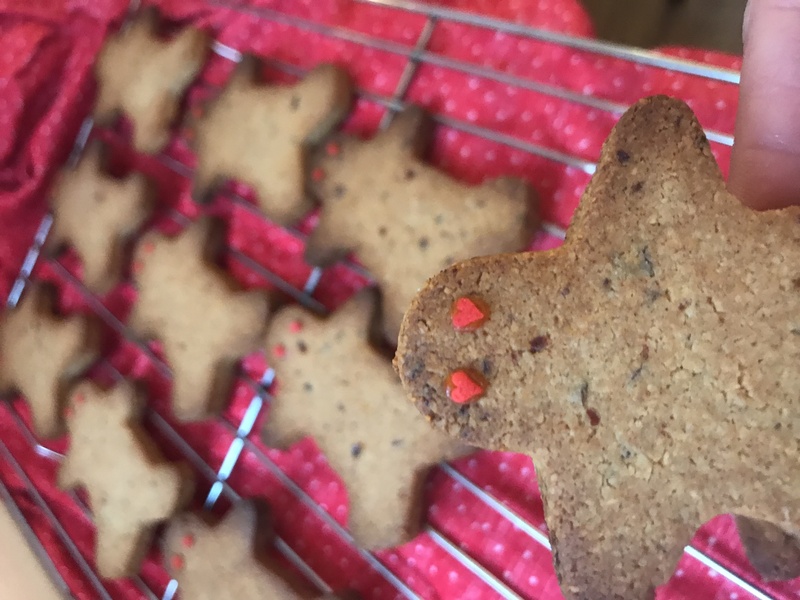 However you decorate these cookies I know you will love them, guilt free! And maybe you might make extras to share as a gift or for Santa on Christmas Eve. It may seem ages away, but it will be here before you know it! You might even consider getting one of Teresa’s books for a treat for yourself. A lovely thing to wrap up and put under the tree! Go on you deserve it!